You already know my favorite freelance website is oDesk – check out the oDesk review I posted earlier this year. To be honest, Elance is a very close number two in my book so as per many readers’ requests, today it’s time to publish an Elance review, too. Read on. The structure of the website is a bit unintuitive to me. I guess this is a matter of habits and preferences. However, it’s worth saying that it took me a few days to force myself into getting used to the logic of Elance dashboard and administration. Elance has a great help section (like oDesk) but they have one thing better – Elance University with how to videos, webinars and much more. Check it out along with the related content so that you know your rights and responsibilities as a client and/or a freelancer. Only then you can make the most out of this freelance website. Both hourly and fixed price job payments are guaranteed. Similarly to oDesk, Elance has a desktop application to track your work activity. It’s called WorkView or Elance Tracker. The app is more limited than the oDesk team application but does somewhat the same job – takes a snapshot of your screen once every 19 minutes; has work diary with your screenshots, option to add a memo to each picture, and so on. 2) freelancers and clients should negotiate milestones based on which payments are released. When a milestone is reached, the freelancer can and should request a milestone payment. The freelance client can approve the request and release the payment right away. If for some reason the client does not do hat (they are away, no working, offline, forgotten, whatever other reason), the payment would be automatically released to the freelancer at some point (I think I was 2 weeks period). The payment may not be released in case the freelancer has not completed the work as agreed, the quality is poor, etc. – in which case the client should refuse to release the payment and file a dispute. You can read more about this specific matter in Elance help section. If you remember, the work week in oDesk ends on Sunday and you automatically get your funds available for withdrawal 10 days later. In Elance things can happen much faster. When the work week ends on Sunday for the hourly paid projects or when you request a milestone payment for the fixed price jobs, the client has the option to approve the payment right away – which instantly transfers money from his Elance account to the freelancer’s Elance account. If the client does not approve the payment manually and right away, it is released automatically a one or two weeks later, depending on the type of project. I find a bit confusing the moment with submitting reports and time sheets. 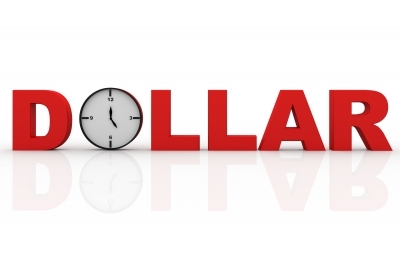 There is a requirement for freelancers to send time sheets to get paid, based on the screens in their work diary. So far – so good. On one hand, freelancers should send their time sheets regularly, before a certain time on Sunday. On another hand, if you are working on an hourly project guaranteed with WorkView, your time sheets would be automatically submitted for you each Monday (which is after the deadline pointed out in the Elance help section). Time sheets are a feature of the hourly projects only – the fixed price projects have status reports instead, based on milestones and deadlines. So, I didn’t quite understand if and what would be the problem if I send a status report late, for instance… I would suggest that you read carefully the freelancers’ and/or clients’ guides that Elance have made available to their users. There are hundreds of free skill tests available on Elance. Like on oDesk, here on Elance the skill tests are good and free. It seems to me that both oDesk and Elance use the same testing system and platform as the tests on the 2 sites are very similar, if not with identical questions at times. There are free and premium membership levels on Elance. On one hand, this is good but on another – not so much. Let me elaborate. There is no contract and a freelancer can downgrade or cancel their premium membership at any time. However, it’s worth mentioning the fee is automatically paid at the beginning of each pay cycle. So, if you want to downgrade or cancel your membership, you need to say so in advance. If you noticed above on the screenshot, the primary differences between free and premium membership are the proposals quota and the categories you can work in. For me 40 proposals per month were more than enough as I rarely look for new projects to work on. However, I had difficulties choosing between marketing category and writing category. So I upgraded to the first level of paid membership, the Individual plan, so I can work in both marketing and writing categories. As you can see, the Individual plan costs $10 per month and has a confirmation green tick sign that I can add extra category. Apparently, the paid membership gives me just that – the ability to add other category. Paying a monthly fee of $10, I got my increased proposals quota and other things which I didn’t need PLUS the option to buy the opportunity to bid in additional category. In order to bid and work in a second category, I needed to pay an additional monthly fee of $5. So, the total monthly fee got to be $15 and not $10 as advertised. The quality of clients and freelancers is relatively high. Because of the premium memberships and clients’ fees or for some other reason – but the quality of the job posts and the professionalism and skills of the freelancers on Elance are relatively higher than on oDesk. There are still representatives from Asia but they are not the spammy type of contractors who we are used to seeing on many freelance websites. The competition is harder because there are more American and Canadian freelancers here as well as higher-paying and more demanding clients. Elance has a great workroom and related applications. Unlike oDesk, there is a special place in you Elance dashboard where freelancer and client can share messages, files, milestone information, payments, requirements, changes, and more. You have a workroom for each project you work on and you can choose who has access to what in the work room. It is really handy and Elance encourages you to use the workroom so you have a track in one place of everything that you exchange as files or information with your clients and freelancers. Last but not least, Elance has a great resources section. 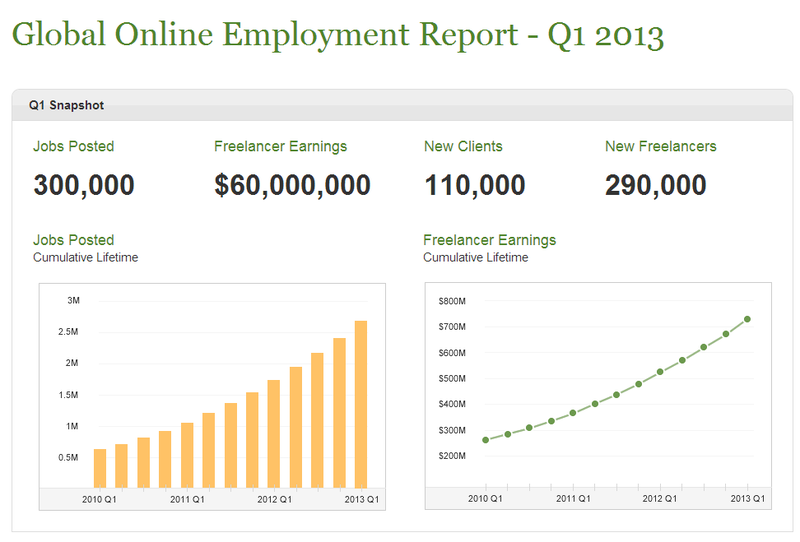 Most Popular Freelance Job Boards What Skill Tests to Take on Freelance Websites Freelance Trends in Elance Q1 2013 Report Freelance Jobs: Fixed Price or By The Hour? I totally agree with this review as I am using Elance. 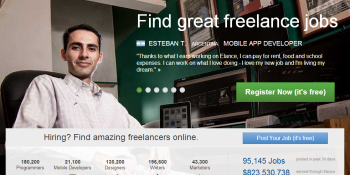 It does seem to be a higher caliber of freelancers, the only other free lance place I know is fiverr. And this is definitely an upgrade from fiverr. Thanks for stopping by! While i have not used fiverr personally, i have heard not so good things about it from fellow freelancers. besides, if it advertise itself as “the world’s largest marketplace for services, starting at $5” – well, i wouldn’t expect much good paying gigs out of it LOL. Great review. 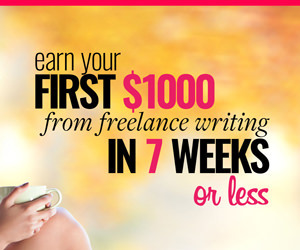 I don’t freelance, but will check them out for freelance editors. A wonderful resource for those who freelance as well as those who are thinking about getting started! Thanks for your very descriptive review! Great review. I signed up for elance a while ago, but I haven’t applied for any jobs yet. Diana- From the employer perspective I liked Elance better as I felt things we more upfront. 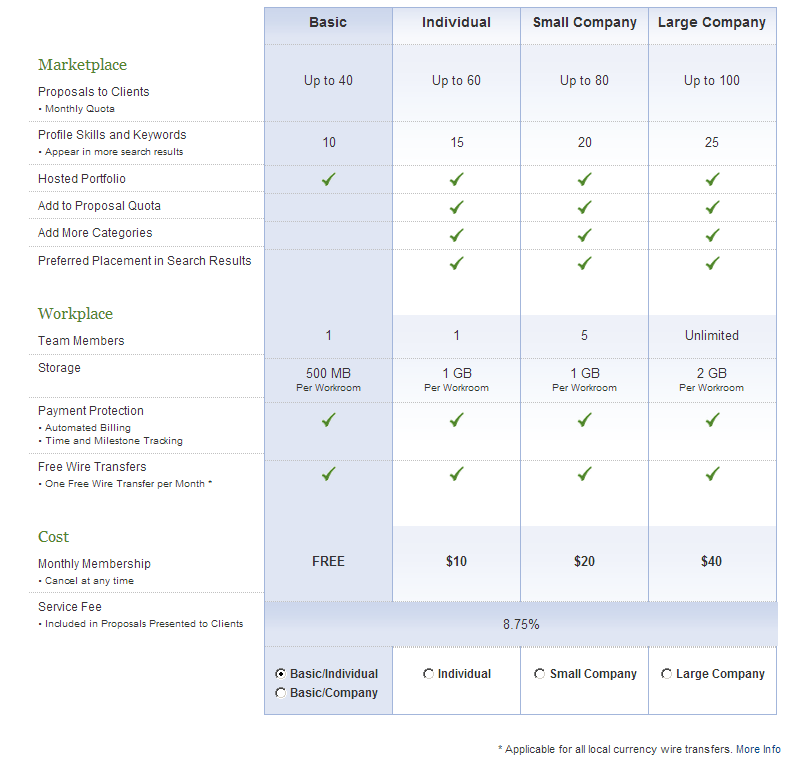 For what I was looking for I liked the selection of freelancers on Elance better than Odesk. I agree with you on the quality of Elance as I am myself an active member of the workplace. Although, I would like to share one drawback that I have experienced over Elance. They don’t let us allow more than one category in free subscription as it becomes a hindrance to apply for a wide variety of work offered on the site. I wish and hope, if they can get a bit lenient with their free subscription policy, the things may become more promising for contractors like me. Thanks for your comment, Ashutosh – and for your perspective on the free account policy Elance have. I don’t use any of these services not seeing myself as or being a freelancer. One thing I found interesting, is having to submit a time sheet. Do many others require this? I would find this, well, not sure I have the right words, but one is just a hassle and a flashback to “sales reports” early in my career. truth is, the time-sheets submission on Elance is done with a single click – that’s it. All the info is gathered and populated automatically, all you have to do in the end of the week is click the Submit button. On oDesk they also have something like “time-sheets” in the form of the work-diary – but it all happens automatically… I don’t know about other sites. This is interesting, I don’t know much about Elance (what I know about oDesk I learned from you) and I was curious. I’ve never been a big fan of time-sheets. When I was a consultant I used a program called Carpe Diem which basically meant manually accounting for every 15 minutes of my time, ugh! It was a pain to do, but so useful for clients. Glad to see Elance has found a way to track the work without being too irritating. 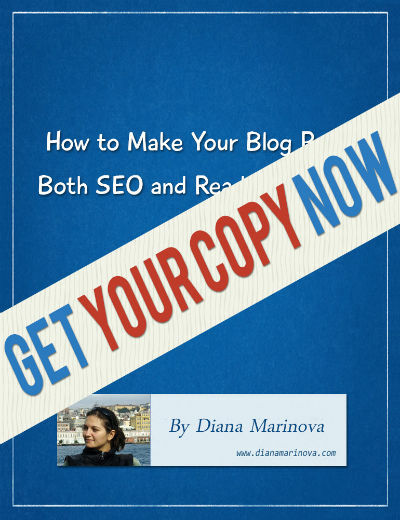 Yes I agree Diana its almost close to oDesk. I have done couple of task in Elance and am really happy with it. I found few complaining but i think they found the wrong staffer. Apart from this the site is absolutely genuine.